Sweet Seasons Farm is a hidden gem established in 1971 by Richard and Paulette Manning. It is now one of the oldest and largest sheep farms in Alabama. It is a family owned and operated farm and event venue that combines vintage charm and country elegance which creates a pleasing venue fit for any event, great or small. We are proud of what we have accomplished through the years, and we decided to share the beauty of our farm with others. So by combining two different business ventures, we have achieved a venue that stands apart from all others. The inspiration for our venue, the love of our farm, all the personal touches of vintage décor, the cleanliness, and of course the sheep, creates quite a unique atmosphere. Our sheep play a very important roll in our venue, and we have found that our guests find the dogs working the sheep most enjoyable as well. The venue is available April through November. The barn and surrounding area accommodates up to 250 guests, with multiple –stall restrooms and a commercial kitchen that is available for caterers use as well. The grounds feature ample parking space, a stage for music, bar area, and the Brides and Grooms personal dressing rooms. We also have a wide array of plants and flowers which can be found all around and cuts down on décor expense. 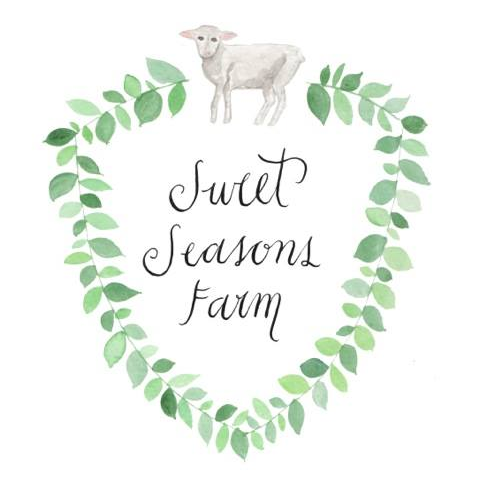 We believe all of this can be summed up with … Sweet Seasons Farm is ‘Simplicity at its finest”. We are excited to help you create the perfect event that suits you and brings to life your dreams for your big day.